Soul Plane notwithstanding, air travel just isn't fun. I don't expect it to be, nor do I need it to be. When you think about it, air travel is pretty amazing. For the overwhelming majority of human existence, getting from point A to point B was a long and often dangerous endeavor. Today, we can travel 2,500 miles in 5 hours (and back again) for less than the price of a Rammstein album. Air travel is relatively safe, cheap and fast. TRAVEL WISH #1: Airlines would have a family section. 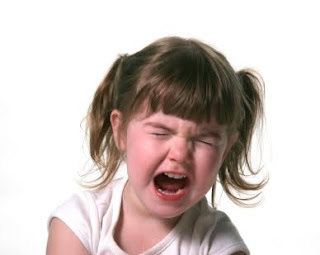 The only people who should be subjected to kicking and screaming children on an airplane are the parents who bring them. The airlines know who is flying on their planes. The airlines control who sits where. The last few rows of a plane would be filled with families. They would be able to board the plane first without slowing down the boarding process. It would be possible to provide people not traveling with kids - such as lucrative business travelers - enough distance from children so as to minimize the volume of their cries. Along the same lines, anyone who need to board the plane early (old people, handicapped people) should also be seated together in order to expedite boarding and disembarking. TRAVEL WISH #2: Airlines would have to take responsibilities for the consequences of their pricing policies. Now that airlines are charging customers to check luggage, more people are bringing their luggage on the plane. The bags are still getting checked, but now people are taking their bags through security, to the gate, onto the plane, and then off of the plane when it turns out there isn't enough overhead storage for their bags. Add more security lines. If an airline is charging to check bags, they should be responsible for paying for the additional staff to screen bags people carry on the plane. There is no reason for it to take an hour for anyone to get through security, especially when half of the available security lines aren't even open. Add separate security lines for people who are not bringing luggage. If all you are flying with is your "one personal item", you shouldn't have to wait in the same line with people who are bringing the bags they should have checked. I would think this option would appeal to the airlines since it might encourage more people to check their bags. TRAVEL WISH #3: All luggage would be checked. This wish is probably not going to be a popular one, especially when one considers the airlines' track record regarding lost luggage. But it seems like air travel would be safer and more efficient if people were only bringing small bags with a few personal items onboard. The lines through security would move faster. The boarding and disembarking processes would speed up. And I think that if everyone had to check their bags, and the airlines were losing everybody's bags, the airlines would have to figure out a better way of tracking bags. 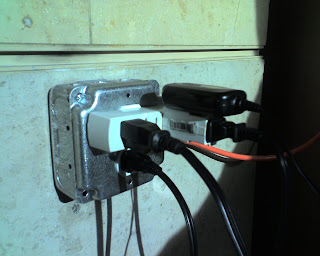 TRAVEL WISH #4: Power outlets would be available onboard. There are very few things I'm willing to pay for on a plane. It is never a surprise to me that my flight is going to be on a long one where I might get hungry or bored. After all, before I board the plane I know where I'm going and approximately how long it will take to get there. I can bring my own food and entertainment. But what I can't do is bring an extra laptop or ipod. I'd be very happy to pay for electricity during my flight. Ok, that's an exaggeration. I wouldn't be very happy, or even slightly happy, in fact. But I would be willing to pay for it. This one is very funny Adam. You should send it to the newspaper for an editorial. Dude, your wishes would add about an extra 75 bucks to the price of a ticket. WTF add more TSA folks and in-flight power?? Dude that would make flight so expensive no one would be able to afford it but business travelers and that's only because they don't pay for the flight. Or being able to have the whole can of soda, not just the half a cup they give you now. Dude those wishes are reaching for the stars!